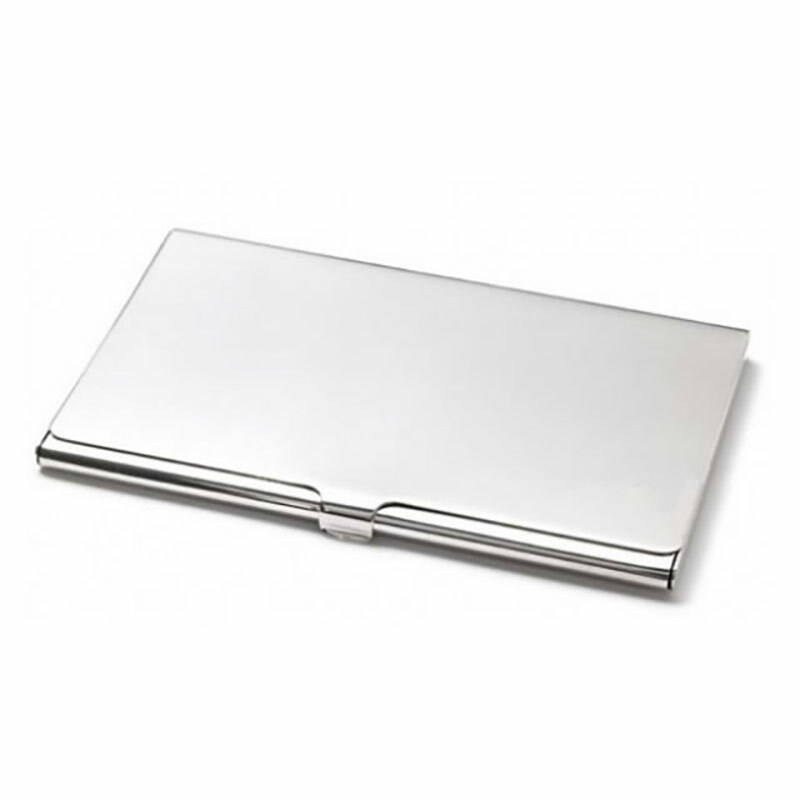 Classic smooth business card cases with hinged lid and clasp, in a sleek slimline design. These slim business card cases are as elegant as they come and slip perfectly into your pocket or bag. They are offered with free engraving of both text and logos, allowing you to customise your smooth business card cases with a corporate logo, company name or any other marketing message at no extra cost. Each case is supplied complete with a soft cloth sleeve and an attractive presentation case.